There are no Armenians among those killed and injured as a result of twin blasts in Beirut, Lebanon, the Armenian Ministry of Foreign Affairs reports. “According to the information obtained by the Armenian Embassy to Lebanon, there are no citizens of the Republic of Armenia or ethnic Armenians among the victims of the blasts in Beirut,” the Foreign Ministry said in a Facebook post. 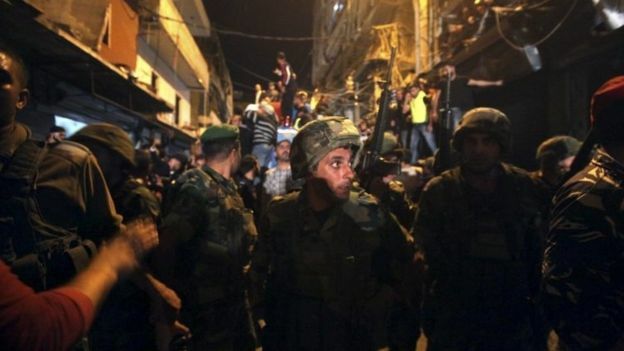 Twin blasts rocked southern Beirut last night, leaving at least 41 killed, many injured. A rare and shocking look at how ISIS fighters are infiltrating some areas of Afghanistan and taking over every aspect of local life. They even run the local schools. Watch as children as young as three learn about machine guns, grenades and jihad.